Our Jujube honey is collected from August to October in Mandalay, Magway and Sagaing Regions. The sugar content in Jujube flower’s nectar is around 45%. Jujube honey has a light red color and a sweet floral and fruity taste, with a medium texture and thickness. Jujube honey is believed to have detoxing properties, while helping digestion, skin health and metabolism. Our Multiflower honey is prepared mixing Jujube and Niger honey. This procedure is resulting in a sweet, intense and floral taste, with medium consistency and thickness. 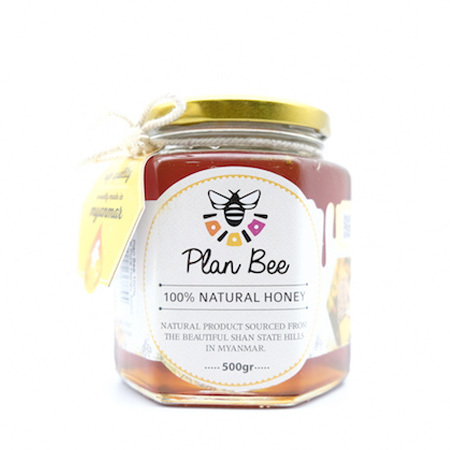 Multiflower honey has the same health benefits of Niger and Jujube honey, including aiding heart and digestive system, reducing inflammation and helping metabolism. Our 3step flower honey is produced from spider- wort plants that are growing and blossoming in March and April. The sugar content in 3step flower’s nectar is around 38%. 3step flower honey has a characteristic dark yellow color, along with a bittersweet taste, with medium consistency and thickness. Our 3step flower honey has many health benefits, including the reduction of sugar level in people affected by diabetes.